All Corporate Members are eligible to be nominated for the above posts. We welcome volunteers among the Corporate Members to take up the challenge and serve our institution. 4 CPD points will be awarded for attendance to the AGM and each Executive Committee Meeting. Graduate and Student members are also welcomed to witness the event. 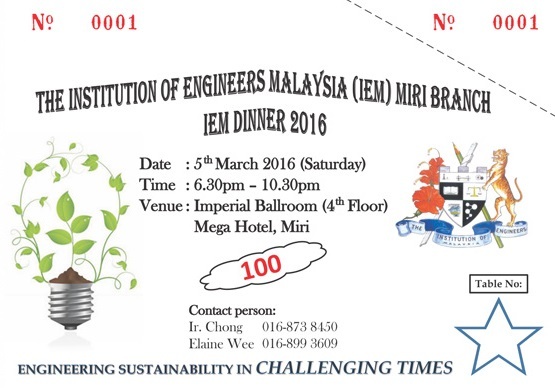 The IEM Dinner 2016 will be held on the same day after the AGM from 6:30pm to 10:30pm. If you are interested to join the event, kindly contact Ir Chong or Elaine Wee for ticketing. We look forward to your participation.